This series of posts is going to be an attempt to partially introduce a few of my ideas on religion and God, while also talking about a couple ideas that I find really neat to think about. We'll build up to one that I've been thinking about a lot lately - Interdependent Co-Arising, which we'll talk about in Part II. I'm not trying to convince anyone that anything in this post is the absolute Truth. Think of it more as an entertaining story and if you get something meaningful out of it – great! It has been exhaustively demonstrated by comparative mythologists like Joseph Campbell, by psychologists like Carl Jung and by philosophers like Alan Watts and similar folks, that all religions are “saying” the same thing. The idea is that there are two levels of meaning to religious thinking – denotative and connotative. Denotative meaning is basically literal meaning. On the surface, religions can seem to be very different at this level. This is due to cultural nuances and how mythic/religious thinking transforms over time. Symbolism, which all religion is rife with, is not meant to be taken solely literally. As Carl Jung said, “Symbols have one foot planted in the world and the other in the Infinite.” On the connotative, or symbolic, level, all religions are saying the same thing. They are all referencing the same transcendent reality. Joseph Campbell speaks of universal Motifs across religions and Carl Jung of mythological Archetypes, which he has shown also appear in dreams (of atheists, even!). Meanwhile, the majority of humanity are stuck on the metaphor, taking it all too literal, not seeing what the metaphor is referencing and fighting amongst ourselves. This does all make for an interesting study called comparative mythology. As Campbell says: "... universals are never experienced in a pure state, abstracted from their locally conditioned ethnic applications. 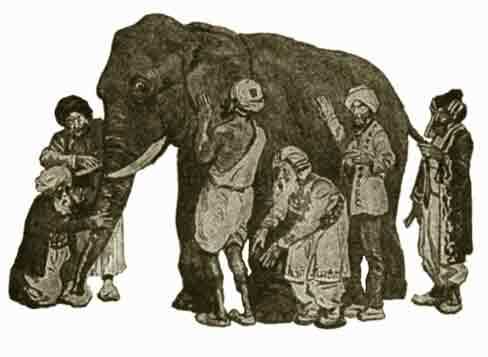 It is, in fact, in their infinitely various metamorphoses that their fascination resides"
There is an old Indian tale, which tells of a group of blind men all touching a different part of an elephant. Each thinks his specific part captures the full nature of the elephant, of which they are completely unaware. They argue amongst themselves incessantly that the other does not understand what an elephant really is. In one version a sighted man eventually walks by and explains the whole elephant to them and it is only then that the men realize they were blind. We all fall victim to this to some extent. But, substitute a major religion for each blind man and God for the elephant and there you have it - a great illustration for some of the problems in the world today. Perhaps the “big” elephant analogy is fitting, because I think God is ultimately “bigger” than religion. Etymologically speaking, the term religion potentially comes from the Latin religio, which means to "link, or bind", although the origins are somewhat obscure. Regardless, religion has been viewed as a tool for linking us back to God. The Buddhists have a wonderful metaphor illustrating this principle. 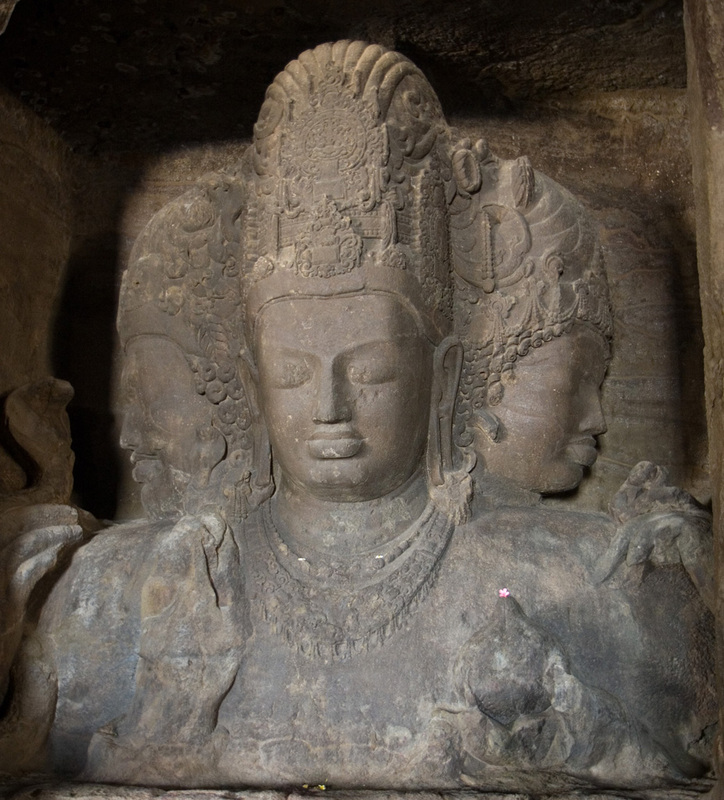 There are two Buddhist views of thought – the Hinayana and the Mahayana. The term yana means vehicle, or conveyance; while, hina and maha, mean lesser, or greater, respectively. Within Mahayana, specifically, is the Wisdom of the Yonder Shore, prajnaparamita, or perfection of wisdom. Analogously speaking, the majority of us are on one side of a river. The river represents the spiritual journey and the Yonder Shore - our destination - is Nirvana, or the Kingdom of Heaven. Religion is the raft, or the vehicle, which conveys us to the Yonder Shore. The journey is metaphorical for an inner transformation, or shift in consciousness. When you finally do arrive to the far shore, you don’t put the raft on your back and carry it around. Likewise, doctrine and ritual serve to bring about a spiritual experience, or awakening of consciousness. The emphasis should be on the experience, not the tools (doctrine, ritual, etc) that helped to achieve that experience. Nietzsche said, "The Christian is a man who behaves like everyone else". He meant that in the West we too often forget to use our religion as a tool for inner transformation. In Eastern Philosophy, one also eventually encounters the idea of "pairs of opposites" symbolized best in the Yin-Yang symbol. The idea is that spacetime, or the Universe, is the field of action, where the interplay of all pairs of opposites – male/female, war/peace, good/evil, cause/effect, etc. - are the forces and dynamics that play out the great Cosmic Drama. For example, if one never experienced anything other than happiness, the concept happiness need not be invented. It is only against the contrast with sorrow that makes us appreciate happiness. How could one talk about black, without white? "Life comes in shades of grey". Some of this would be similar to explaining what color is to a person born blind. Without a reference for contrast, certain experiences are impossible and certain concepts would be superfluous, at best. Lastly, it is only through the experience, or knowledge, of Evil that makes striving after Good possible, and perhaps even worthwhile. This is somewhat encompassed by the story of the Garden of Eden, where man ate fruit from the Tree of the Knowledge of Good and Evil and are expelled from the Garden. Prior to the expulsion they were ignorant of gender difference, male and female, and the concepts of good and evil and they walked with God "in the cool of the day". This story is symbolic for a transformation of consciousness from a blissful state of unity with God to a state of separation and differentiation. Satan takes the form of a serpent in this tale. Since as early as 30,000 BC, the serpent has been viewed as a symbol for transformation due to the way the serpent sheds its skin and is "born anew". Here again, as Man undergoes a tremendous transformation, gaining knowledge of good and evil and thereby the ability to exercise free will, the serpent appears. Interestingly, Lucifer in Latin means "bringer of light". In the West, we often get stuck on the opposites, resulting in an eternal struggle between one side and the other, with no possible resolution in sight. 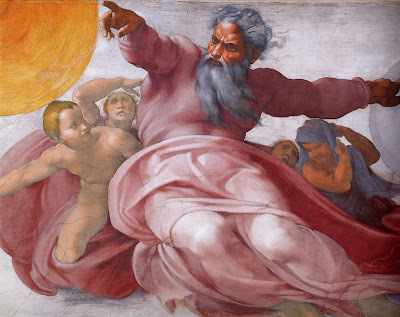 God must be male, and He must represent Absolute Good, which immediately implies an Absolute Evil side of the spectrum. We end up with a split between polar opposites. As a result, we have ideas of an eternal Hell where souls burn forever, while the rest are in Heaven for a period of time that never ceases (Even this must get boring, after an aeon, or two. More on this below!). It's the ultimate schism, or the ultimate game of Us vs. Them (another pair of opposites!). In the meantime, how can God encompass everything if there is an eternally damned, irredeemable Evil? Does this Evil exist outside of God? If so, God is not all there Is. Instead “something” contains them both. Or, is this Evil part of God? If so, how can part of God be eternally damned? We often view ourselves, nature and God as all separate from, and often at odds with, each other. Zen teacher, D.T. Suzuki, when introduced to Christianity, once said: "God against Man; Man against God; Man against Nature, Nature against Man; Nature Against God, God against Nature; very funny religion!" In the East, they are explicitly more subtle about it all. The Middle Way is the path to liberation described by the Buddha and it cuts right down the middle of all pairs of opposites. The Middle Way has several profound concepts behind it - some we already touched on, with more coming up, but this whole blog post will hardly break the surface. Heinrich Zimmer tells a wonderful allegory that expands the river analogy some more, using the concepts of Samsara and Nirvana. Samsara is the wheel of life, which we are bound to by karma, resulting in the round of rebirths. Nirvana is enlightenment, or liberation from Samsara. They are, of course, represented by opposite shores of a river. Anyhow, a young ambitious monk, tired of the world, sets off from the shore of Samsara in his little ferry across a river. Halfway across the river, the monk can't quite make out either shore very well, both being too far away. This represents the state of limbo - not completely attached to the world anymore, but not quite liberated yet, either. But, finally, in great jubilation he begins to see rather clearly the far shore, Nirvana, and he eventually lands his little ferry on the shore, and decides to look back and see what the shore of Samsara looks like from this exalted viewpoint. But, when he looks back, the far shore is gone, the river is gone, the ferry is gone, and he's no longer even standing on a shore! He then realizes, there never was any river, there never was any Samsara, or Nirvana, there never was an "ego", and lastly there never was even a Buddha! He is beyond all pairs of opposites, and all forms of differentiation. He has realized, as they say in Buddhism, that "All things are Buddha things." This is partly why the Buddha is conspicuously missing in artistic works in certain stages of Buddhism. Samsara and Nirvana are pairs of opposites too. If you're still grasping for Nirvana trying to escape Samsara, you're in tension between a pair of opposites, while the true ground of “Nirvana” is beyond all that. The Second Noble Truth of Buddhism is that fear and desire cause suffering. But, if one tries to break free of this by "desiring not to desire", you're still stuck. The advice is to let it all go. Nirvana is right here and now! We just don’t know it. This same truth is expressed in Christianity in the Gnostic Gospel of St Thomas: “The Kingdom of Heaven is spread out upon the Earth and men do not see it”. All that is required to "see" is a shift in consciousness. Easier said, than done, though. Right? The following piece of Indian art from 8th century AD also illustrates all of these ideas. It is of Shiva Maheshvara - the personification of the fullness of the Absolute. The two heads on either side are male and female, and are representative of all pairs of opposites. The head down the middle is the ground of all being beyond all pairs of opposites, but also the eviternal source from which they all spring. Despite their pantheistic appearance, Indian religions are actually monotheistic at their core, because everything is viewed as a manifestation of the Divine in a similar fashion. Different gods are just particular manifestations of various differentiated energies of the one God, or the undifferentiated transcendent Source of all things. There are interesting ideas that can be taken out of physics, which parallel all this. For example, it is assumed that space and time itself were created in the Big Bang. Therefore, one cannot ask what came “before” the Big Bang, because the question loses meaning outside linear time. 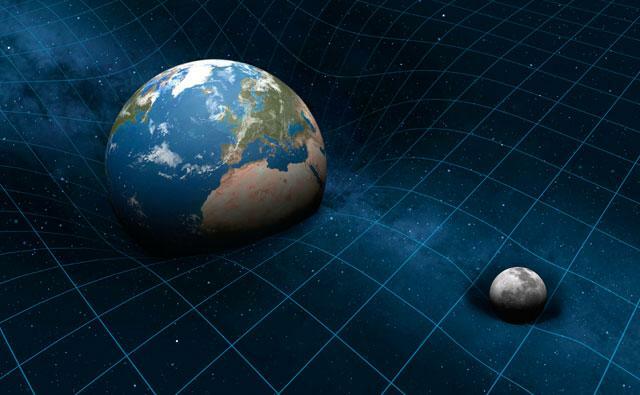 String Theory seems to be telling us that at the smallest of size scales the concepts of space and time lose meaning and there may be a more fundamental level to reality. One can see that many pairs of opposites arise from within the experience of linear time, or are dependent upon an experience of linear time. The concepts before and after depend upon linear time. The concepts creation and destruction depend upon linear time. And, since cause always comes before effect, our traditional interpretation of cause and effect also depends upon linear time. Some ideas in modern physics are already showing that reality may be far richer than allowing time to flow in just one direction. Part of the enigma of Quantum Mechanics (QM) is the probabilistic nature of its predictions. A formulation of QM called Time-Symmetric QM (TSQM) says if there is not enough information in a particle’s past to fully determine its fate, perhaps that’s because it does not yet exist! Perhaps, the remaining information lies in the future! TSQM features two state-vectors, or wave functions – one propagates from the past to the present, and one propagates from the future to the present, allowing for a type of retrocausal influence without violating our normal notions of cause and effect. What happens now, depends not just on information from the past, but also from the future. It’s theories such as these that make reality seem far more conducive for allowing anomalous phenomenon like psi, which I briefly discuss here. It wouldn’t be all that surprising if we get insights into space and time that completely revolutionize how we view them, providing a view on reality far richer than perhaps we can imagine. We can begin to see that if we limit our ideas of God to concepts that are restricted to linear time, than we limit what we can see of God. If God exists outside linear time, the question, "How was God created? ", or "Where/when did He come from? ", no longer apply. It's like asking "What came "before" the Big Bang?". Whenever one gets stuck in an infinite regression of logic that seems to lead nowhere it usually shows the wrong question is being asked and a new way of thinking about the problem is needed. If these kinds of questions don’t make sense, then viewing God as the old man in the sky, or male/female, in general, also suddenly seem very limiting. This is conceptualizing, in an anthropomorphic fashion, an aspect of reality that is beyond all human language and concepts. Heinrich Zimmer once said, "A person's God is his ultimate limit". The highest we can imagine, or the most we can mentally perceive, is typically encapsulated by our image of God. This blog post partially encapsulates my image of God, which also falls short. As we evolve, so should our image of God evolve. However, as Meister Eckhart says, "The ultimate leave taking is the leaving of God for God", suggesting to let go of our ideas of God, in order to gain direct experience and identification with the God-head. Alan Watts even warns of a modern-day idolatry, "[These days] nobody in his senses is going to confuse a wooden image with God, but you can very easily confuse a set of ideas with God, because concepts are more rarefied and abstract"
This also brings us to a view where Eternity is not never-ending time, but rather the complete absence of linear time. Now, try to wrap your mind around what it's like to exist outside linear time! As crazy as it sounds, this is exactly what we're hearing out of reports from people who have had Near Death Experiences, which I talk about here, and here. It sounds less like complete cessation of action and more of a spontaneous happening of everything. Folks talk about life reviews that cover every moment of their lives in detail, which are previewed in one sudden flash of "Now"! As Albert Einstein said, "the only reason for time is so that everything doesn't happen at once". All of existence in a single moment where everything is happening in an eternal now, with no beginning and no end. Time slows things down and helps differentiate between a past and future, allowing for a unique experience. Even so, since all we ever truly have is the present, eternity is right here and now in this very moment! This wraps up Part I. Stay tuned for Part II - Interdependent Co-Arising! I enjoyed this piece. If you're interested in a different viewpoint of God from a Christian/western perspective, I'd recommend Science & Health by Mary Baker Eddy. Some of your ideas fit nicely with her original metaphysics. Albert Einstein had this to say about Science & Health: "In an affidavit by Mary Spaulding, wife of the famous violinist Alfred Spaulding, was preserved a conversation she had with Albert Einstein in the New York City Reading Room on 42nd Street. Dr. Einstein's high regard for Science and Health is reflected in the following: 'Science and Health is beyond this generation's understanding. It is the pure science. And, to think that a woman knew this over eighty years ago!'" I look forward to reading Part II.